We couldn't be more grateful for our team of expert field guides here at The Outpost Lodge, including Donavin de Jager, who not only generously shares his remarkable passion and knowledge daily, but also manages to capture our special part of the world in all its glory through his lens too. Take a look at a few of his recent photographs below. GOOD MORNING: We are lucky to start our morning like this almost every day. A PERFECT PAIR: Two beautiful Bateleur eagles posing for us, the female is on the left and male is on the right. BAOBAB HEAVEN: Our area is known for the incredible number of baobabs growing here. This one is known as the Mapimbi Big Baobab, the oldest and largest baobab in the concession. THE MEETING OF THREE COUNTRIES: In the far north, we explore where South Africa, Zimbabwe and Mozambique meet. HIDDEN DANGERS: The wilderness is as deadly as it is beautiful, keep your eyes peeled. RIVER MOVEMENTS: Listen to the rush of the Luvuvhu River from this magnificent vantage point at Lanner Gorge. SUMMER RAINS: As we head into the wetter summer months, we will see our floodplains grow, bringing a host of new life to the area. 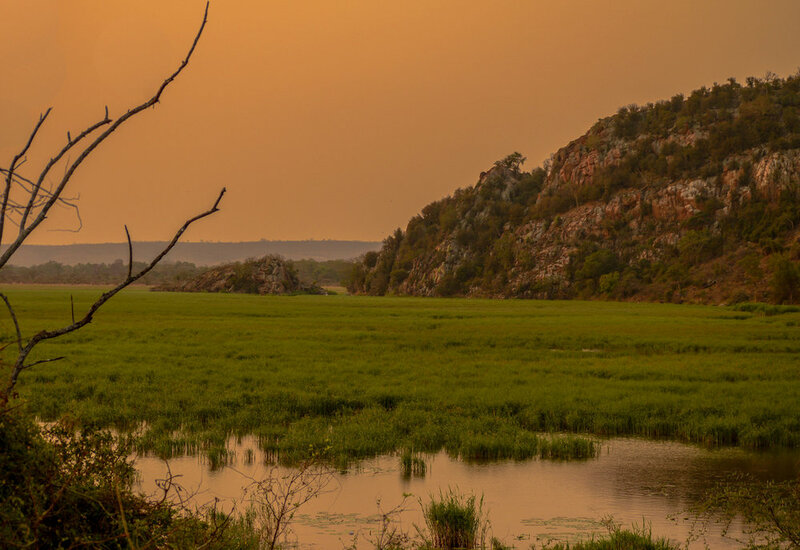 HIDDEN MYSTERIES: This is the wildest and most diverse part of the Kruger National Park but all you have to do is look and spectacular things will be revealed. TOUGH DAY AT THE OFFICE: We are incredibly lucky to work in the most beautiful part of the Kruger National Park. 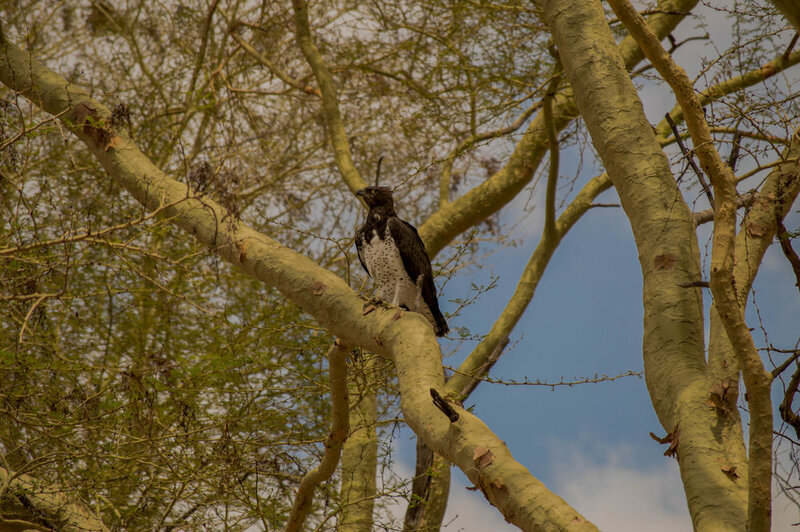 A BIRDER’S PARADISE: A Martial Eagle, the largest eagle in Africa, captured in the Fever Tree Forest. Keen to find out more about a stay with us at The Outpost Lodge? Watch our video for a sense of the wonders that await here in the far north of the Kruger National Park and get in touch for more information.